Long time readers of my blog may remember this brand as I have been lucky enough to work with them a few times and I genuinely love their prescription glasses and they have such a wide range to choose from! To check out my previous posts regarding Firmoo, click here. This time round I picked the *Firmoo Unisex Full Frame Acetate Glasses (#DBSN61006, Black, $36) which are being phased out and discontinued which is a shame as they are a great style of glasses and one that I think will suit a lot of people. I had mine fitted with prescription lenses for distance and they are very effective and work just as well as Specsavers ones I've had in the past. I love the almost wayfarer like style of the glasses with the silver accent on either side of the lenses. The glasses feel durable but lightweight. They go with SO many outfits and the lens sizes aren't too big either. Mine came with a pouch as they always do but this time they also came with a printed glasses case and I love the antique map design of mine - my sister wants the case! The only problem I have with these glasses is the size, they are a little too big for my face so they have a tendency to fall down when I look down sadly. 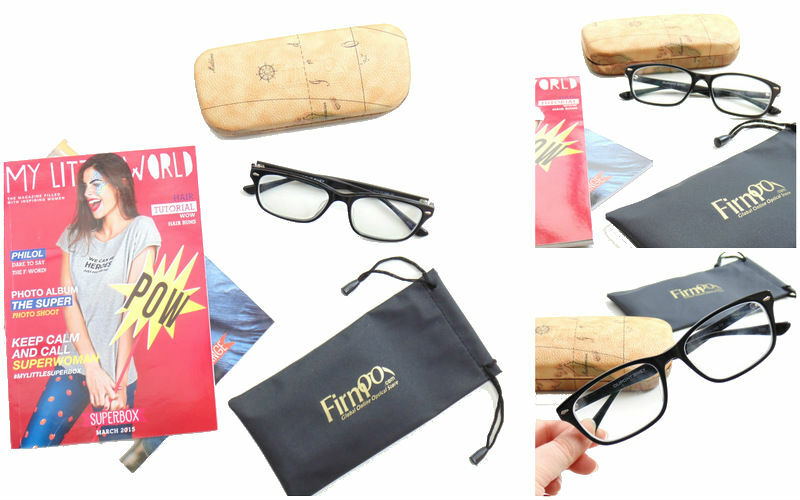 Other than that I love the Firmoo glasses I have been sent over the past year and I would definitely recommend them. New customers can get a 50% off code for their frames site wide, here. Have you tried any glasses from Firmoo? I've never tried any glasses from Firmoo before, but these look really pretty! I love the style, they are quite similar to the glasses I have from Ray Ban, such a good style, they suit so many people! Those glasses are really cute! I bet they suit you! I love firmoo glasses. Cool specs :) Actually we always recommend this at Optometric Services Inc.